…I hope you enjoy this inspiring come-back story brimming with romance and uplifting values that reinforce the importance of overcoming challenges through strength of will and determination, never letting limitations stop you from achieving your dreams and how friendship is the strongest foundation upon which true and lasting love is built. Other themes include: disabilities, respect, self-worth and faith. But here—here she couldn’t hide from it. In the real world, her vision blossomed into a bigger problem and she shrunk into someone incompetent, dependent, weak, a person she never wanted to be. She’d been planning on trying out for the ERA Premier tour team again at their end-of-summer qualifiers. Now she’d never be good enough to ride with them. The life she’d always wanted ended before it’d even started, and she had no contingency plan. “I’ll do it!” The rail had to be on the lowest setting, six inches above the ground. No challenge at all. She could do it blindfolded. Amberley set her jaw, wheeled Harley away and brought him into a trot that carried her swiftly to the blurred shape of the gate. She couldn’t quite judge the height, or her proximity, just yet. Unease fluttered in her belly. How many paces to it? Time to jump? Relying on instinct, she squeezed Harley’s sides at the right moment, but he balked. She flew over his head and landed flat on her back. At the children’s cries, she struggled to sit up, but the fall had knocked the wind out of her. “The author’s writing flows smoothly and she has crafted a beautiful story with more complexity than most romances. 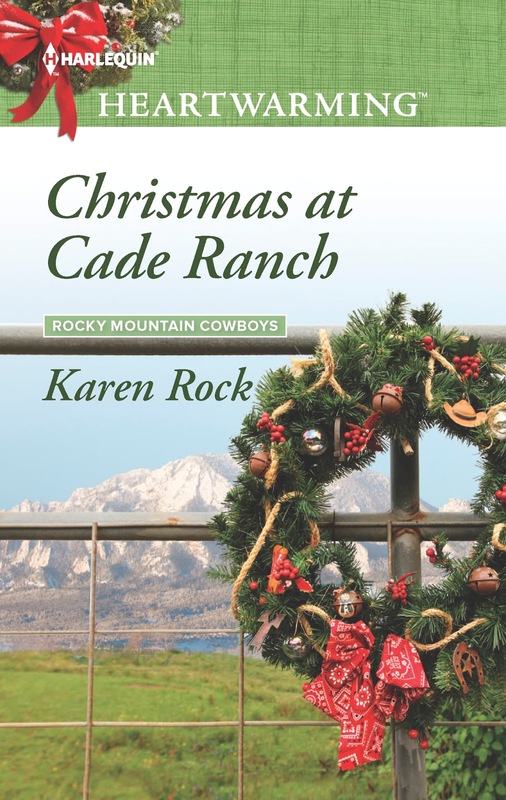 A beautiful Colorado setting, feuding families, career choices, children with disabilities, and a very special horse named Harley make for a deeply satisfying read. . .
“Amberley.” Jared breathed her name like an invocation, barely breaking their kiss. “Hmm?” She threaded her fingers his crisp hair, unable to open her eyes. He called all of his girls babe. Especially when he couldn’t remember their names. Tension locked up every inch of her. She propped an eye open. Then the other. Despite her lack of vision, she could see this disastrous moment clearly. In minutes, he’d gone from treating her like a child to seducing her like one of his flings. And she was neither. “Just because he lost his wings doesn’t mean he’s not a Pegasus anymore.” Jared helped Emily off the saddle and down the stairs. Harley’s head bobbed in a flash of black and silver, and Amberley smiled through the tears that sprang to her eyes. Jared was right. Wings didn’t make a Pegasus. Working limbs, perfect eyesight…they didn’t make a human either. What we imagined and strived to be counted. Real strength rooted itself inside, where it mattered most. “I’m loving this Rocky Mountain Cowboys series! . . Her vehement tone caught him off guard. He called lots of woman darlin’. Why did she act like it meant something? Because you mean it when you say it to her, a voice said inside him. He framed her face with his hands then leaned over and kissed her. Thoroughly, sweetly, wonderfully. For a moment, everything stilled: her breath, movement, her heart. The world, possibly. “No!” She shoved his chest. “No?” His eyelashes blinked rapidly, brushing against her temple. “What was my time?” she gasped. 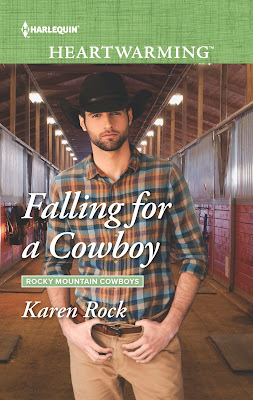 “I was hooked from the beginning of Falling for a Cowboy and did not want to put it down until I had the whole thing read. Such a fabulous and heartwarming story. I just can not put into words how much I enjoyed it and how sad I was having to tell Amberley and Jared goodbye. I would give it 100 stars if I could. “…I knew this series would be fine reading the books just on there own. This is a sweet second chance story that packs an emotional punch. . .
“You don’t like darlin’.” She could feel the smile in his voice and wondered if her heart might explode in her chest. “Just giving it my best means I’ve already won,” she said, the words rushing from some deep part of her. The truth. Showing up for competitions meant she was someone, not nothing like her father would have said. Sorry, Daddy, but I don’t believe I’m nothing. And I don’t believe you’d think that either. You promised I’d be okay after you passed. You told me I was strong. In a quest to provide her ELA students with quality reading material, educator Karen Rock read everything out there and couldn’t wait to add her voice to the genre. 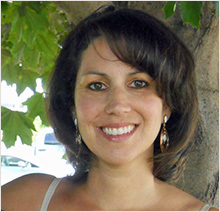 In addition to her work as a Young Adult romance novelist, she’s now an author for Harlequin’s Heartwarming line and thrilled to pen stories that moms can share with their teenage daughters. 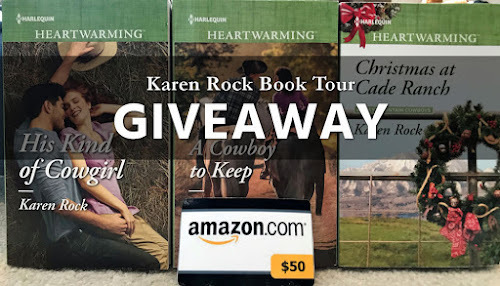 She’s loved Harlequin books since she spent summers going through her grandmother’s Presents books that she passed along in paper grocery bags each year. As half of the writing duo J.K. Rock, Karen also pens young adult romance. When she’s not busy writing, Karen enjoys scouring estate sales for vintage books, cooking her grandmother’s family recipes, reinventing her gardens to suit her moods and occasionally rescuing local wildlife from neighborhood cats. She lives in the Adirondack Mountain region with her husband, her very appreciated beta-reader daughter, and two Cavalier King cocker spaniels, who have yet to understand the concept of “fetch” though they know a lot about love. 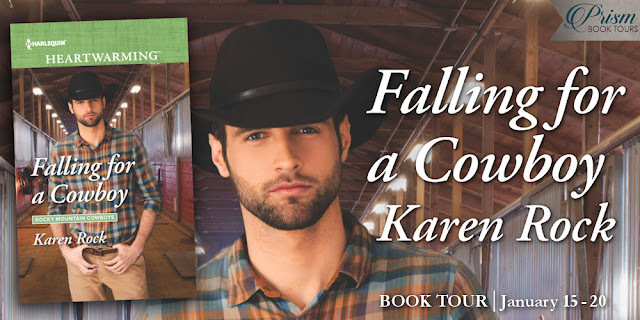 For more information about Karen’s upcoming books, check out her website.